In July 2008, I wrote the cover feature for Record Collector magazine. 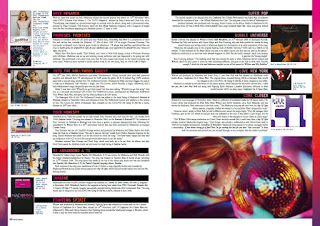 The feature, ‘Madonna Rare: Unwrapping the Candy’, was a 10-page investigation of Madonna’s B-sides and other commercially released, hidden gems from the most collectable diva of all and featured commentary on these songs, taken from my original interviews with Madonna collaborators Mark Kamins, Reggie Lucas, Tony Shimkin, Greg Fitzgerald, Guy Sigsworth, Daniel Abraham, Mark Endert, Alvin Speights, Rico Conning and Kevin Parker. 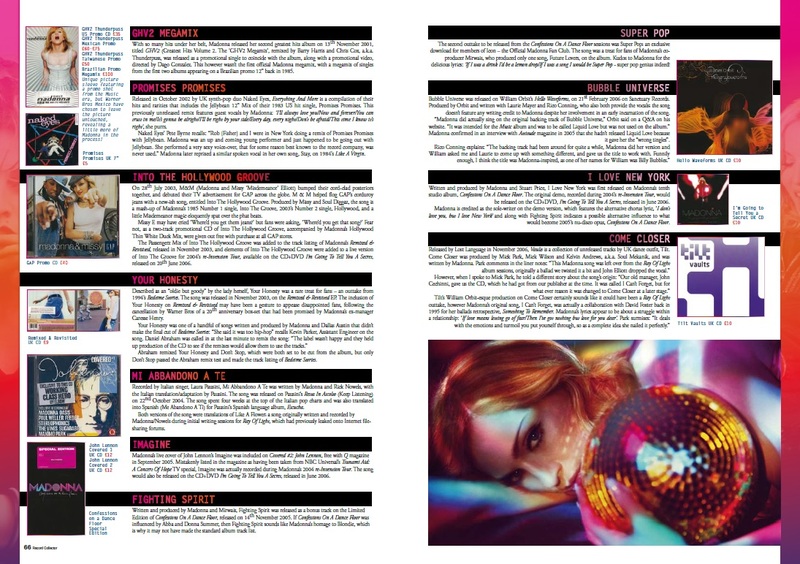 The feature also revealed a couple of other exclusives – Sophie Ellis-Bextor recorded the Madonna demo, Revenge, and that a cover of another Madonna demo, I Can’t Forget, had been recorded and commercially released by UK dance outfit Tilt, albeit re-titled as Come Closer. 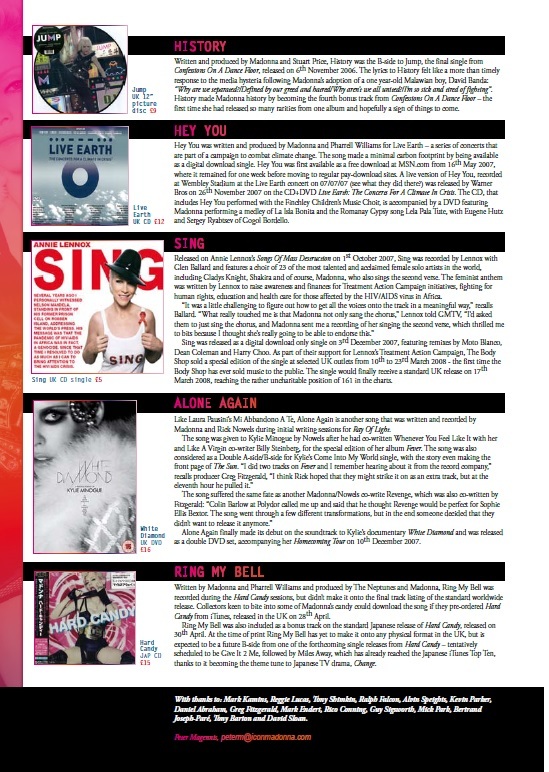 When Record Collector hit newstands across the world throughout summer 2008, the UK’s biggest Madonna fansite, madonnalicious.com, interviewed me. 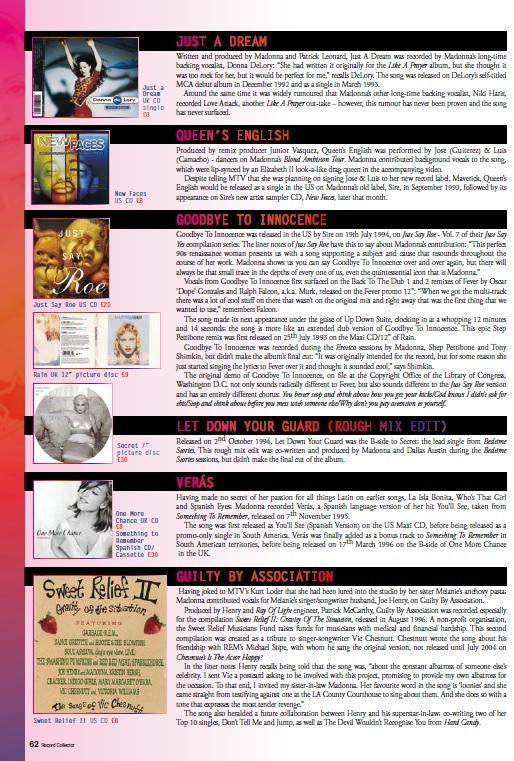 Click here to read my interviews with madonnalicious.com (scroll down to 21 July and 23 June posts), where I revealed more about Come Closer and Swedish girl group, Sahara Hotnights' cover of yet another Madonna demo – the recently-leaked Music-era, William Orbit-produced, Run. awesome. I agree great reading and can not wait to read more! 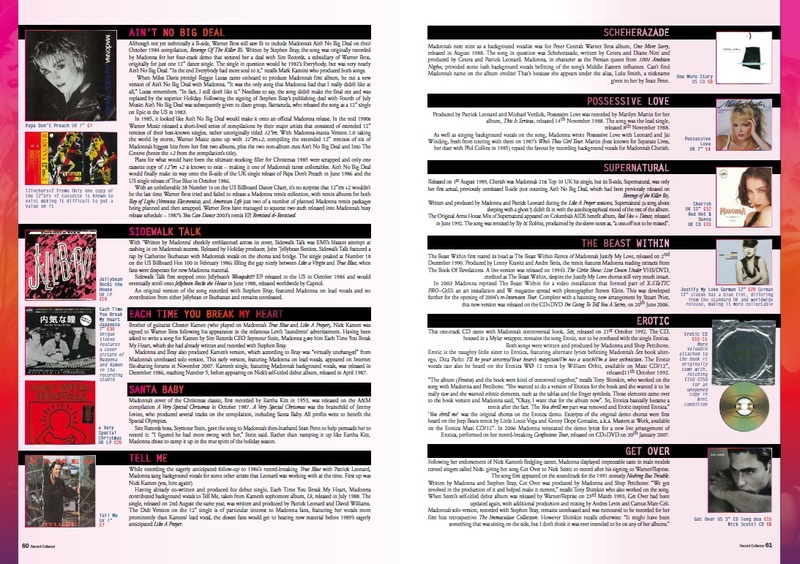 re: Each Time You Break My Heart, the Madonna solo track that has leaked is only a rough demo. Surely there must be a proper studio recording that is identical to Kamen's version except for the main vocal, of course. Don't you think?